It was a busman’s holiday for Dr Yin, who vaccinated 130 animals against rabies in the villages of Guangxi Province, where she grew up. The disease remains prevalent there, and is a cause of hostility and fear between many people and the animals they live alongside. 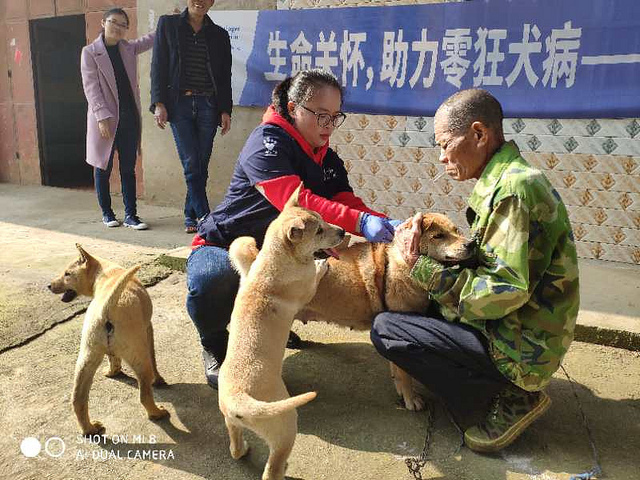 The programme was initiated when Dr Yin secured a donation of 130 rabies vaccines, sponsored by Boehringer Ingelheim via a local company, Beijing Kangmu. Villagers signed up in advance for free jabs for their dogs and cats, and on day one Dr Yin single-handedly vaccinated 63 animals, mostly dogs. The animals were surprisingly tame, raised mainly in outdoor communal spaces, and their owners were quite conscious of the importance of protecting their animals, and therefore themselves, against rabies. Although there is free vaccination service in a nearby city, there is not sufficient manpower or supply to cover all animals in the villages, and outreach programmes are not able to meet local needs. Dr Yin’s achievements are testament to her own determination and commitment to compassion, but she is also one of ACTAsia’s greatest success stories. 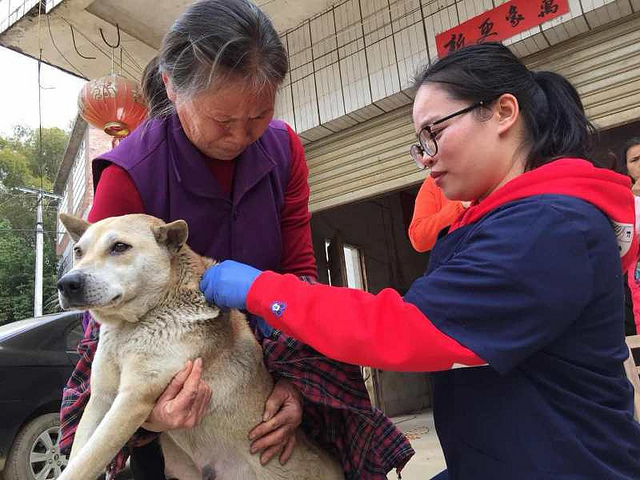 Perhaps it’s not surprising to hear of a vet lending her expertise for free in her time off, but what is remarkable is just how far this vet has come since her humble beginnings here in rural China. Ten years ago, Dr Yin took part in the veterinary Train the Trainer (TTT) programme, which operates in partnership with Vets for Compassion training Chinese veterinarians in professional technique and animal welfare. At the time she was newly qualified in animal husbandry, which in China is sufficient to practise as a vet. Dr Yin’s understanding of animal sentience grew quickly, and it wasn’t long before she began to reach further than the programme itself, initiating projects such as this. “It’s rewarding that local people were so pleased that I had come with free rabies vaccines,” said Dr Yin. “Some asked me to come back next year with more vaccines, and even offered to pay themselves!” It’s clear that awareness of rabies prevention is rising, and with this comes increasing harmony between people and the animals they share their lives with. Read about Dr Yin’s award for her services to animal welfare by the World Veterinary Association (WVA), and her own words about how she grew up to be the compassionate professional she is today.